For the region in Bangladesh, see Matlab (Bangladesh). As of 2018, MATLAB has more than 3 million users worldwide. MATLAB users come from various backgrounds of engineering, science, and economics. Cleve Moler, the chairman of the computer science department at the University of New Mexico, started developing MATLAB in the late 1970s. He designed it to give his students access to LINPACK and EISPACK without them having to learn Fortran. It soon spread to other universities and found a strong audience within the applied mathematics community. Jack Little, an engineer, was exposed to it during a visit Moler made to Stanford University in 1983. Recognizing its commercial potential, he joined with Moler and Steve Bangert. They rewrote MATLAB in C and founded MathWorks in 1984 to continue its development. These rewritten libraries were known as JACKPAC. In 2000, MATLAB was rewritten to use a newer set of libraries for matrix manipulation, LAPACK. MATLAB was first adopted by researchers and practitioners in control engineering, Little's specialty, but quickly spread to many other domains. It is now also used in education, in particular the teaching of linear algebra and numerical analysis, and is popular amongst scientists involved in image processing. The MATLAB application is built around the MATLAB scripting language. 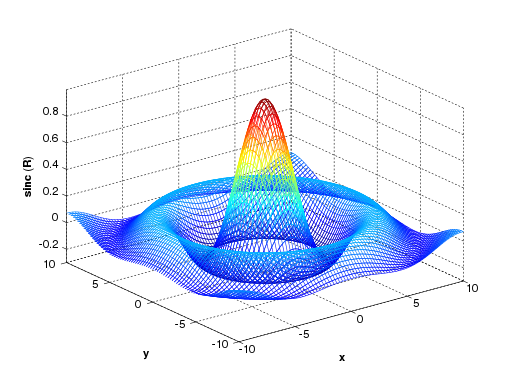 Common usage of the MATLAB application involves using the Command Window as an interactive mathematical shell or executing text files containing MATLAB code. defines a variable named array (or assigns a new value to an existing variable with the name array) which is an array consisting of the values 1, 3, 5, 7, and 9. That is, the array starts at 1 (the initial value), increments with each step from the previous value by 2 (the increment value), and stops once it reaches (or to avoid exceeding) 9 (the terminator value). the increment value can actually be left out of this syntax (along with one of the colons), to use a default value of 1.
assigns to the variable named ari an array with the values 1, 2, 3, 4, and 5, since the default value of 1 is used as the incrementer. Indexing is one-based, which is the usual convention for matrices in mathematics, although not for some programming languages such as C, C++, and Java. Matrices can be defined by separating the elements of a row with blank space or comma and using a semicolon to terminate each row. The list of elements should be surrounded by square brackets: . Parentheses: () are used to access elements and subarrays (they are also used to denote a function argument list). A square identity matrix of size n can be generated using the function eye, and matrices of any size with zeros or ones can be generated with the functions zeros and ones, respectively. Transposing a vector or a matrix is done either by the function transpose or by adding prime after a dot to the matrix. Without the dot MATLAB will perform conjugate transpose. Most MATLAB functions can accept matrices and will apply themselves to each element. For example, mod(2*J,n) will multiply every element in "J" by 2, and then reduce each element modulo "n". MATLAB does include standard "for" and "while" loops, but (as in other similar applications such as R), using the vectorized notation often produces code that is faster to execute. This code, excerpted from the function magic.m, creates a magic square M for odd values of n (MATLAB function meshgrid is used here to generate square matrices I and J containing 1:n). MATLAB has structure data types. Since all variables in MATLAB are arrays, a more adequate name is "structure array", where each element of the array has the same field names. In addition, MATLAB supports dynamic field names (field look-ups by name, field manipulations, etc.). Unfortunately, MATLAB JIT does not support MATLAB structures, therefore just a simple bundling of various variables into a structure will come at a cost. When creating a MATLAB function, the name of the file should match the name of the first function in the file. Valid function names begin with an alphabetic character, and can contain letters, numbers, or underscores. Functions are often case sensitive. MATLAB supports elements of lambda calculus by introducing function handles, or function references, which are implemented either in .m files or anonymous/nested functions. MATLAB supports object-oriented programming including classes, inheritance, virtual dispatch, packages, pass-by-value semantics, and pass-by-reference semantics. However, the syntax and calling conventions are significantly different from other languages. MATLAB has value classes and reference classes, depending on whether the class has handle as a super-class (for reference classes) or not (for value classes). can alter any member of object only if object is an instance of a reference class. An example of a simple class is provided below. A MATLAB program can produce three-dimensional graphics using the functions surf, plot3 or mesh. In MATLAB, graphical user interfaces can be programmed with the GUI design environment (GUIDE) tool. MATLAB can call functions and subroutines written in the programming languages C or Fortran. A wrapper function is created allowing MATLAB data types to be passed and returned. MEX files (MATLAB executables) are the dynamically loadable object files created by compiling such functions. Since 2014 increasing two-way interfacing with Python was being added. Libraries written in Perl, Java, ActiveX or .NET can be directly called from MATLAB, and many MATLAB libraries (for example XML or SQL support) are implemented as wrappers around Java or ActiveX libraries. Calling MATLAB from Java is more complicated, but can be done with a MATLAB toolbox which is sold separately by MathWorks, or using an undocumented mechanism called JMI (Java-to-MATLAB Interface), (which should not be confused with the unrelated Java Metadata Interface that is also called JMI). Official MATLAB API for Java was added in 2016. As alternatives to the MuPAD based Symbolic Math Toolbox available from MathWorks, MATLAB can be connected to Maple or Mathematica. Libraries also exist to import and export MathML. MATLAB is a proprietary product of MathWorks, so users are subject to vendor lock-in. Although MATLAB Builder products can deploy MATLAB functions as library files which can be used with .NET or Java application building environment, future development will still be tied to the MATLAB language. Each toolbox is purchased separately. If an evaluation license is requested, the MathWorks sales department requires detailed information about the project for which MATLAB is to be evaluated. If granted (which it often is), the evaluation license is valid for two to four weeks. A student version of MATLAB is available as is a home-use license for MATLAB, Simulink, and a subset of Mathwork's Toolboxes at substantially reduced prices. It has been reported that European Union (EU) competition regulators are investigating whether MathWorks refused to sell licenses to a competitor. The regulators dropped the investigation after the complainant withdrew its accusation and no evidence of wrongdoing was found. 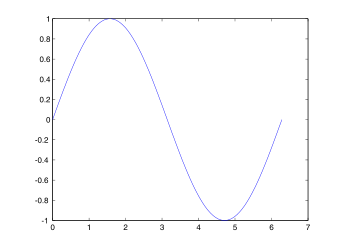 GNU Octave is unique from other alternatives because it treats incompatibility with MATLAB as a bug (see MATLAB Compatibility of GNU Octave), therefore, making GNU Octave a superset of the MATLAB language. MATLAB 7.9.1 R2009bSP1 1.6.0_12 2010 April 1, 2010 bug fixes. MATLAB 7.14 R2012a 27 1.6.0_17 2012 March 1, 2012 Last version with 32-bit Linux support. The number (or release number) is the version reported by Concurrent License Manager program FLEXlm. For a complete list of changes of both MATLAB and official toolboxes, consult the MATLAB release notes. Several easter eggs exist in MATLAB. These include hidden pictures, and jokes. For example, typing in "spy" used to generate a picture of the spies from Spy vs Spy, but now displays an image of a dog. Typing in "why" randomly outputs a philosophical answer. Other commands include "penny", "toilet", "image", and "life". Not every Easter egg appears in every version of MATLAB. ^ "The L-Shaped Membrane". MathWorks. 2003. Retrieved February 7, 2014. ^ "System Requirements and Platform Availability". MathWorks. Retrieved August 14, 2013. ^ "An interview with CLEVE MOLER Conducted by Thomas Haigh On 8 and 9 March, 2004 Santa Barbara, California" (PDF). Computer History Museum. Retrieved December 6, 2016. So APL, Speakeasy, LINPACK, EISPACK, and PL0 were the predecessors to MATLAB. ^ Bezanson, Jeff; Karpinski, Stefan; Shah, Viral; Edelman, Alan (February 14, 2012). "Why We Created Julia". Julia Language. Retrieved December 1, 2016. ^ Eaton, John W. (May 21, 2001). "Octave: Past, Present, and Future" (PDF). Texas-Wisconsin Modeling and Control Consortium. Retrieved December 1, 2016. ^ "History". Scilab. Retrieved December 1, 2016. ^ The MathWorks (April 2018). "Company Overview" (PDF). ^ a b Cleve Moler (December 2004). "The Origins of MATLAB". Retrieved April 15, 2007. ^ "MATLAB Programming Language". Altius Directory. Retrieved December 17, 2010. ^ Moler, Cleve (January 2000). "MATLAB Incorporates LAPACK". Cleve's Corner. MathWorks. Retrieved December 20, 2008. ^ "MATLAB Documentation". MathWorks. Retrieved August 14, 2013. ^ "Comparing MATLAB with Other OO Languages". MATLAB. MathWorks. Retrieved August 14, 2013. ^ "Create Symbolic Variables and Expressions". Symbolic Math Toolbox. MathWorks. Retrieved August 14, 2013. ^ "Matrix Indexing". MathWorks. Retrieved August 14, 2013. ^ "Structures". MathWorks. Retrieved August 14, 2013. ^ "Generate Field Names from Variables". MathWorks. Retrieved August 14, 2013. ^ Considering Performance in Object-Oriented MATLAB Code, Loren Shure, MATLAB Central, March 26, 2012: "function calls on structs, cells, and function handles will not benefit from JIT optimization of the function call and can be many times slower than function calls on purely numeric arguments"
^ "Function Handles". MathWorks. Retrieved August 14, 2013. ^ "Anonymous Functions". MathWorks. Retrieved August 14, 2013. ^ "Object-Oriented Programming". MathWorks. Retrieved August 14, 2013. ^ "Comparing Handle and Value Classes". MathWorks. ^ "Create a Simple GUIDE GUI". MathWorks. Retrieved August 14, 2014. ^ "MATLAB GUI". MathWorks. April 30, 2011. Retrieved August 14, 2013. ^ Smith, S. T. (2006). MATLAB: Advanced GUI Development. Dog Ear Publishing. ISBN 978-1-59858-181-2. ^ "Application Programming Interfaces to MATLAB". MathWorks. Retrieved August 14, 2013. ^ "Create MEX-Files". MathWorks. Retrieved August 14, 2013. ^ Spielman, Dan (February 10, 2004). "Connecting C and Matlab". Yale University, Computer Science Department. Retrieved May 20, 2008. ^ "MATLAB Engine for Python". MathWorks. Retrieved June 13, 2015. ^ "Call Python Libraries". MathWorks. Retrieved June 13, 2015. ^ "External Programming Language Interfaces". MathWorks. Retrieved August 14, 2013. ^ "Call Perl script using appropriate operating system executable". MathWorks. Retrieved November 7, 2013. ^ "MATLAB Builder JA". MathWorks. Retrieved June 7, 2010. ^ Altman, Yair (April 14, 2010). "Java-to-Matlab Interface". Undocumented Matlab. Retrieved June 7, 2010. ^ Kaplan, Joshua. "matlabcontrol JMI". ^ a b "MATLAB Engine API for Java". MathWorks. Retrieved September 15, 2016. ^ Germundsson, Roger (September 30, 1998). "MaMa: Calling MATLAB from Mathematica with MathLink". Wolfram Research. Wolfram Library Archive. ^ rsmenon; szhorvat (2013). "MATLink: Communicate with MATLAB from Mathematica". Retrieved August 14, 2013. ^ Weitzel, Michael (September 1, 2006). "MathML import/export". MathWorks - File Exchange. Retrieved August 14, 2013. ^ Goering, Richard (October 4, 2004). "Matlab edges closer to electronic design automation world". EE Times. ^ Stafford, Jan (May 21, 2003). "The Wrong Choice: Locked in by license restrictions". SearchOpenSource.com. Retrieved August 14, 2013. ^ "MATLAB Builder NE". MathWorks. Retrieved August 14, 2013. ^ "MATLAB Builder JA". MathWorks. Retrieved August 14, 2013. ^ "MathWorks Software Licenses Probed by EU Antitrust Regulators". Bloomberg news. March 1, 2012. ^ "EU regulators scrap antitrust case against MathWorks". Reuters. September 2, 2014. ^ Steinhaus, Stefan (February 24, 2008). "Comparison of mathematical programs for data analysis". ^ Moler, Cleve (January 2006). "The Growth of MATLAB and The MathWorks over Two Decades". News & Notes Newsletter. MathWorks. Retrieved August 14, 2013. ^ "MATLAB System Requirements - Release 13". MathWorks. Retrieved October 6, 2015. ^ "Dynamic Function Creation with Anonymous and Nested Functions". MathWorks. Retrieved January 15, 2016. ^ "Memory Mapping". MathWorks. Retrieved January 22, 2014. ^ "MATLAB bsxfun". MathWorks. Retrieved January 22, 2014. ^ "Do MATLAB versions prior to R2007a run under Windows Vista?". MathWorks. September 3, 2010. Retrieved February 8, 2011. ^ "OOP Compatibility with Previous Versions". MathWorks. Retrieved March 11, 2013. ^ "Packages Create Namespaces". MathWorks. Retrieved January 22, 2014. ^ "Map Containers". MathWorks. Retrieved January 22, 2014. ^ "Creating and Controlling a Random Number Stream". MathWorks. Retrieved January 22, 2014. ^ "New MATLAB External Interfacing Features in R2009a". MathWorks. Retrieved January 22, 2014. ^ "Ignore Function Outputs". MathWorks. Retrieved January 22, 2014. ^ "Ignore Function Inputs". MathWorks. Retrieved January 22, 2014. ^ "Working with Enumerations". MathWorks. Retrieved January 22, 2014. ^ "What's New in Release 2010b". MathWorks. Retrieved January 22, 2014. ^ "New RNG Function for Controlling Random Number Generation in Release 2011a". MathWorks. Retrieved January 22, 2014. ^ "MATLAB rng". MathWorks. Retrieved January 22, 2014. ^ "Replace Discouraged Syntaxes of rand and randn". MathWorks. Retrieved January 22, 2014. ^ "MATLAB matfile". MathWorks. Retrieved January 22, 2014. ^ "MATLAB max workers". Retrieved January 22, 2014. ^ MathWorks Support Team (June 4, 2015). "Is MATLAB supported on 32-bit Linux?". Versions of MATLAB prior to R2012a are fully supported on 32-bit Linux. After R2012a, MATLAB is no longer supported on 32-bit Linux. ^ Shure, Loren (September 2012). 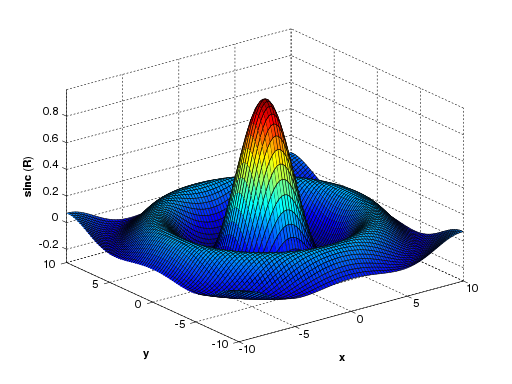 "The MATLAB R2012b Desktop – Part 1: Introduction to the Toolstrip". ^ "MATLAB Apps". MathWorks. Retrieved August 14, 2013. ^ "MATLAB Unit Testing Framework". MathWorks. Retrieved August 14, 2013. ^ "MathWorks Announces Release 2013b of the MATLAB and Simulink Product Families". MathWorks. September 2013. ^ "R2013b Release Notes". MathWorks. Retrieved September 17, 2018. ^ "MATLAB Tables". MathWorks. Retrieved September 14, 2013. ^ "MathWorks Announces Release 2014a of the MATLAB and Simulink Product Families". MathWorks. Retrieved March 11, 2014. ^ "Graphics Changes in R2014b". MathWorks. Retrieved October 3, 2014. ^ "uitab: Create tabbed panel". MathWorks. Retrieved October 3, 2014. ^ "Create and Share Toolboxes". MathWorks. Retrieved October 3, 2014. ^ "Dates and Time". MathWorks. Retrieved October 3, 2014. ^ "Source Control Integration". MathWorks. Retrieved October 3, 2014. ^ "MATLAB MapReduce and Hadoop". MathWorks. Retrieved October 3, 2014. ^ "Call Python Libraries". MathWorks. Retrieved October 3, 2014. ^ "MATLAB Engine for Python". MathWorks. Retrieved October 3, 2014. ^ "MATLAB Execution Engine". MathWorks. Retrieved September 15, 2016. ^ "Graph and Network Algorithms". MathWorks. Retrieved September 15, 2016. ^ "Install MinGW-w64 Compiler". MathWorks. Retrieved September 15, 2016. ^ "What Is a Live Script?". MathWorks. Retrieved September 15, 2016. ^ "MATLAB App Designer". MathWorks. Retrieved September 15, 2016. ^ "Add Functions to Scripts". MathWorks. Retrieved September 15, 2016. ^ "Tall Arrays". MathWorks. Retrieved September 15, 2016. ^ "Create String Arrays". MathWorks. Retrieved September 15, 2016. ^ "JSON Format - MATLAB & Simulink". mathworks.com. Retrieved August 20, 2017. ^ "MATLAB Online". MathWorks. Retrieved April 10, 2017. ^ "Validate Property Values". MathWorks. Retrieved April 10, 2017. ^ "Mocking Framework". MathWorks. Retrieved April 10, 2017. ^ "Create Heatmap from Tabular Data". MathWorks. Retrieved April 10, 2017. ^ "MathWorks Announces Release 2018a of the MATLAB and Simulink Product Families". MathWorks. Retrieved April 5, 2018. ^ "MATLAB Release Notes". MathWorks. Retrieved January 25, 2014. ^ "Introducing MEX-Files". MathWorks. Retrieved August 14, 2013. ^ "Binary MEX-File Extensions". MathWorks. Retrieved August 14, 2013. ^ "Protect Your Source Code". MathWorks. Retrieved August 14, 2013. ^ "What Is a Live Script?". MathWorks. Retrieved August 21, 2016. ^ "Live Script File Format (.mlx)". MathWorks. Retrieved August 21, 2016. ^ "MATLAB App Designer". MathWorks. Retrieved August 21, 2016. ^ "MATLAB App Installer File". MathWorks. Retrieved August 14, 2013. ^ "Support Package Installation". MathWorks. Retrieved October 3, 2014. ^ "Manage Toolboxes". MathWorks. Retrieved October 3, 2014. ^ "Toolbox Distribution". MathWorks. Retrieved August 6, 2016. ^ "What are MATLAB toolboxes?". Lynda.com. Retrieved August 6, 2016. ^ "MATLAB Report Generator". MathWorks. Retrieved October 3, 2014. ^ "Simscape". MathWorks. Retrieved August 14, 2013. ^ "What MATLAB Easter eggs do you know?". MathWorks - MATLAB Answers. February 25, 2011. Retrieved August 14, 2013. ^ Eddins, Steve (October 17, 2006). "The Story Behind the MATLAB Default Image". Retrieved August 14, 2013. Quarteroni, Alfio; Saleri, Fausto (2006). Scientific Computing with MATLAB and Octave. Springer. ISBN 978-3-540-32612-0. Wikimedia Commons has media related to MATLAB.